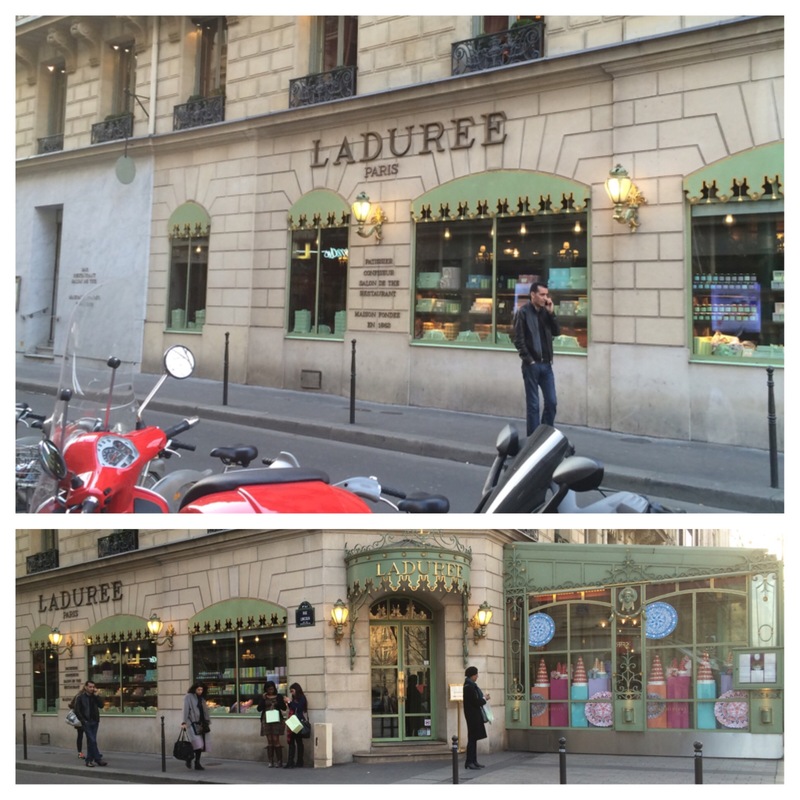 Ladurée on Champs Elysees- The MOST DECADENT corner bakery EVER. There are two sides to this eye-catching vicinity: a bakery on the left, and a cafe on the right. When you walk in, you’ll clearly see the division of the store…If I remember correctly, there might have been a restaurant setting towards the back of this place, too. 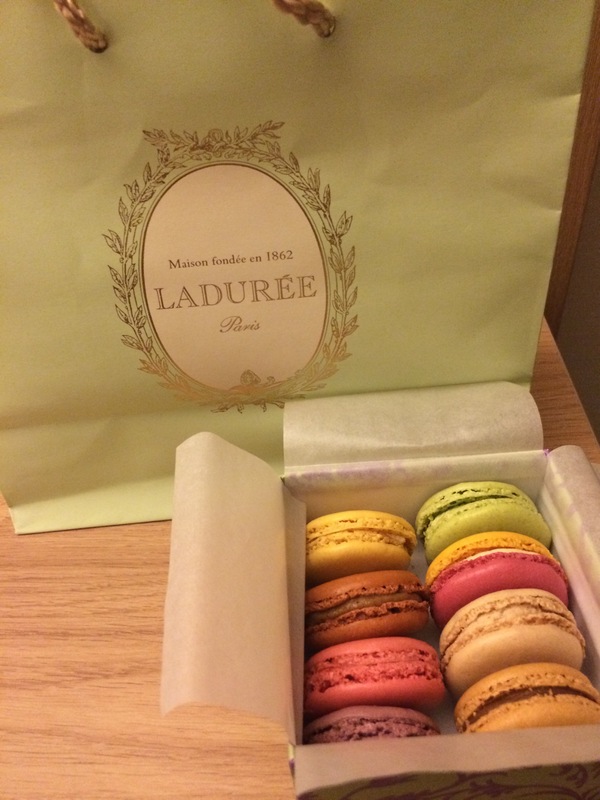 The staff are incredibly patient and courteous, all the pastries were calling my name, and all of the macarons were mouthwateringly tempting. I would not have minded throwing all of my converted Euros at this place… they deserve it.